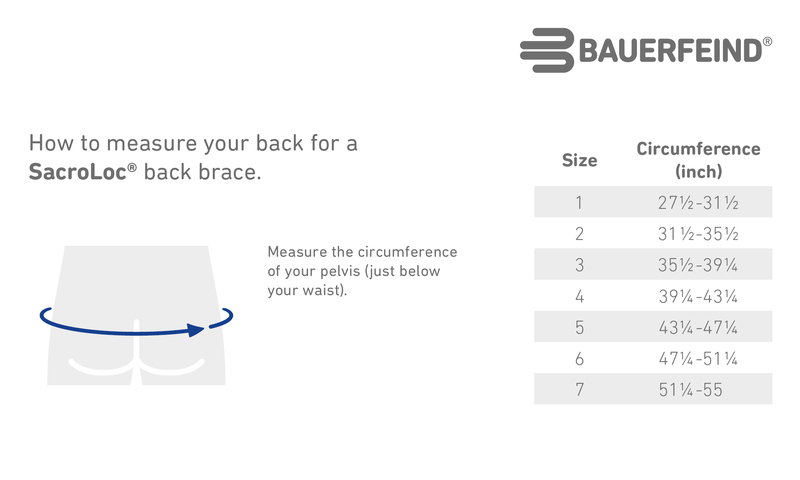 The Bauerfeind SacroLoc Back Support helps to alleviate acute pain and prevent recurrences. There are many different causes of back pain. Pain in the lower back, where the vertebral column and the pelvis meet, is particularly common. This place is known as the iliosacral joint. About one quarter of back aches have their origin below the lumbar column, the lower part of the back at the iliosacral joint. Often the pain occurs suddenly while standing or sitting for a long time or when getting up. If this type of back pain becomes acute, it may hinder mobility. Bauerfeind has developed a new support for just that problem: SacroLoc®. The support acts exactly where the pain is located: in the lower part of the back, at the iliosacral joints. I just couldn't believe that I would be able to walk again! When I'm not wearing the brace, I get severe pains when I walk to the point of disability. Without the device, a sharp pain would send me falling. <BR> <BR>I highly recommend this belt! 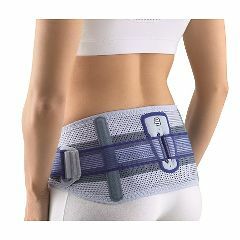 Would this help the lower back pain? I am talking aboutthe hipline.